No this isn't a post about a new breed of Bumble Bee! I'm talking about Bumble and Bumble hair products. This company is owned by Estée Lauder and was founded in a New York hair salon which has two flagship salons in Manhattan. These are three products that I use over and over again! 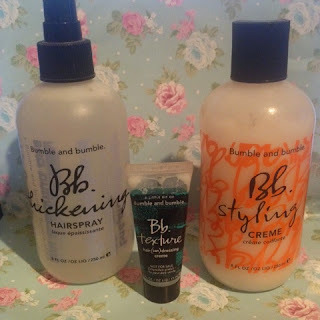 They're the BB Thickening Hairspray, BB Styling Creme and BB Texture Hair (Un) Dressing Creme. 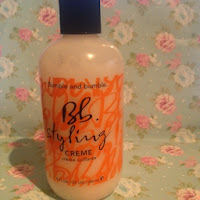 You can buy all of these products online on the Bumble and Bumble UK site. This is the Bumble and Bumble Styling Creme. 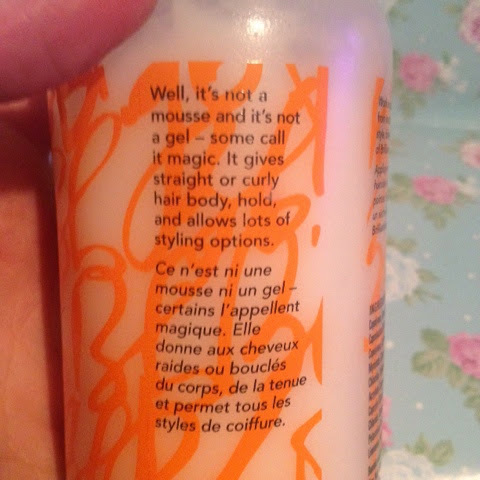 As it says on the bottle 'It's not a mousse and it's not a gel' that exactly what it feels like. Something in between a gel and a mousse styler. It's kind of a weird texture when you first put it on your fingertips but once you rub it into your hair the feeling goes. Rub this into your hair and style. I love this for making my layers stand out more. This is the Bumble and Bumble Thickening Spray. 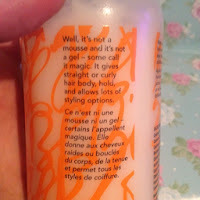 Time to point out the obvious that this is a thickening hairspray! 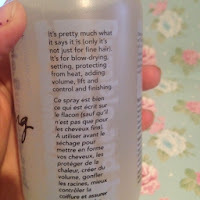 I love this product, I spray this into my roots all over to get a bit more volume. 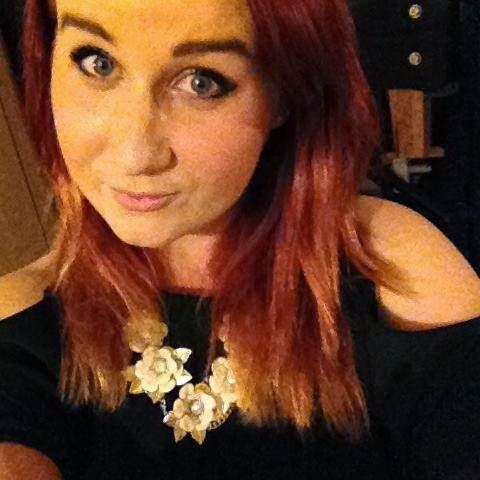 As my hair is getting longer it's starting to get that 'flat' look, which I'm really not loving. So it's time to start using this bad-boy a bit more. 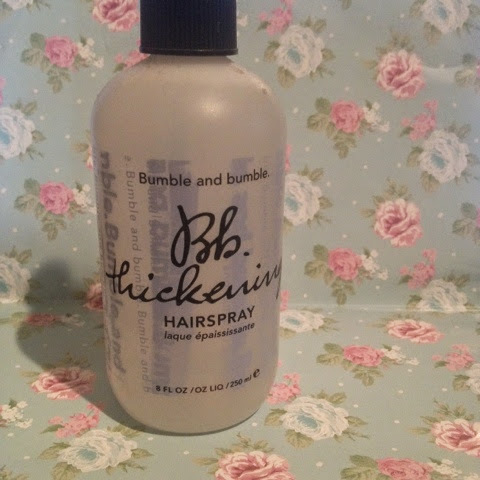 You don't need a lot of this spray to get a bit of volume, don't over-do it with this spray as it can make your hair look a tiny bit greasy which everyone knows is not a good look! The smell of this spray is different to other hairsprays, it is quite strong though but it doesn't really bother me. 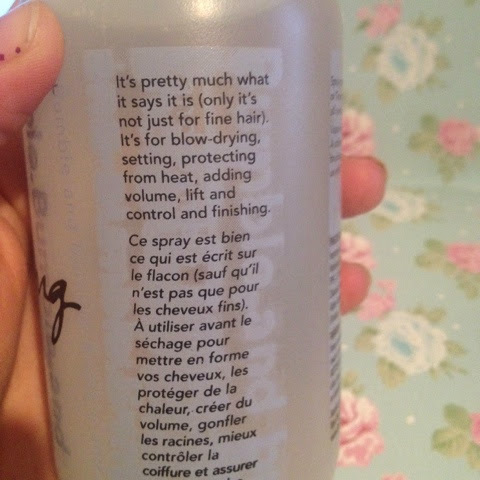 It hasn't got a very strong hold on it so this spray is more for volume than hold. Say Hello! 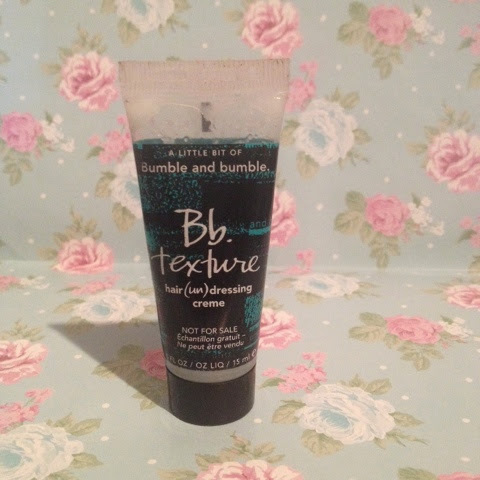 To the Bumble and Bumble Texture Hair (Un) Dressing Creme. This teeny tiny little product is a sample, which has lasted me over 6 months! Let me repeat, 6 MONTHS! You may think texture creme would be used up so quickly, but this little amazing product lasts forever! You only need a tiny bit rubbed onto your fingertips to get an amazing texture to your hair. I love that this product gives you so much from so little, definitely a value for money product! It only has a subtle scent to it which is great as I tend to mix up all three of these products into my hair so having loads of scents would be so confusing and a little too much! I'd love to hear if any of you have tried any other Bumble and Bumble products!